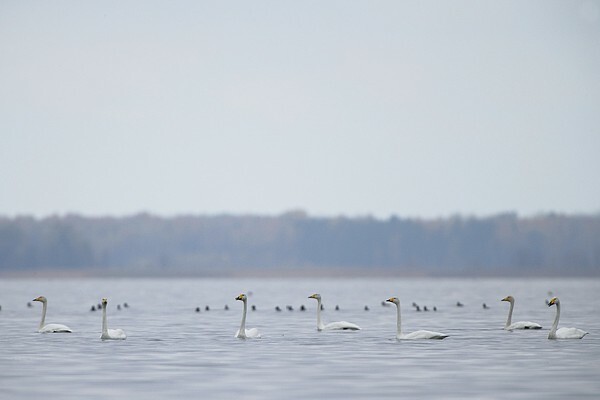 The migration of Bewicks swans passes Estonia in two „waves“ – the first with the young not yet breeding birds and the second with the adults and this year’s young birds. 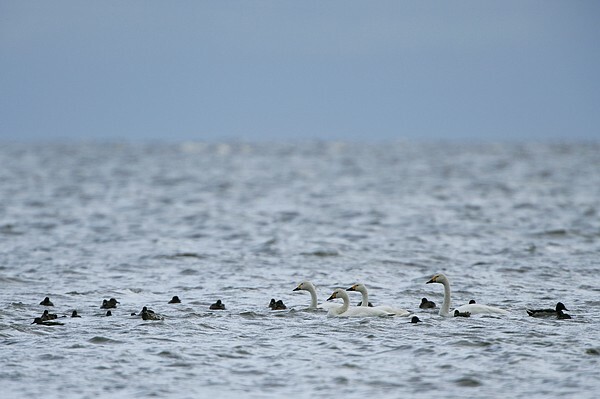 The Kola Peninsula is the nearest place as seen from Estonia where Bewick’s and tundra swans nest. The passing migrants are estimated to be more than some twenty thousand birds, but a reminder: in spring three times as many Bewick’s swans pass here. They can be seen in sea bays as well as Lake Peipsi. 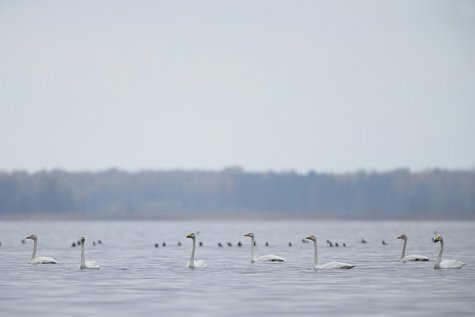 Depending on the winter and ice conditions up to a hundred Bewick’s swans may stay here to winter together with whooper swans. We often see Bewick’s swans with whooper swans. Observing a mixed flock in binoculars confirms that it is really a somewhat smaller bird than the whooper swan. For comparison concerning the exterior: there is less yellow on the base of the beak, from a distance the beak seems almost black. They feed on aqueous plants that are scraped up from about sixty centimetres depth, and if natural food is scarce they move to damp or flooded cereal fields to feed on sprouting corn or spilled seeds, preferably barley, wheat and oats. Bewick’s swans were observed for the first time on the fields of Matsalu in 1978. In the wintering areas on the fields of Netherlands and Germany the swans especially like sugar beets and potatoes.